Not long ago, watch manufacturer Mathis Montabon introduced a new model and raised the bar with this one: It’s entirely Swiss made, boasting an automatic calibre. The collection of Mathis Montabon is known for its variety; there are sober dress watches and ladies watches with zirconia-stubbed bezels, ones with partly skeletonized dials or analogue date displays. 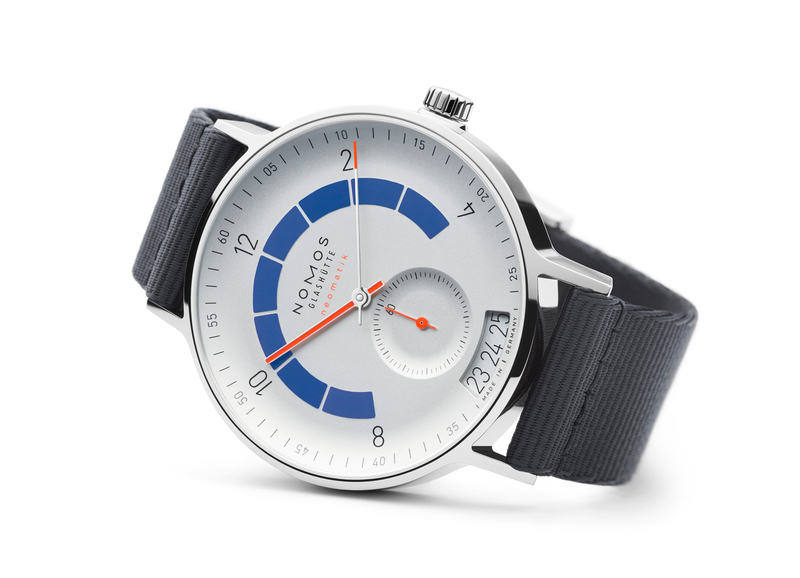 But producing a completely Swiss made watch is a first for Mathis Montabon and a critically acclaimed one, too. So, let’s look at it. The Mathis Montabon Elégance de Suisse presents itself as sober as a wristwatch can be. It is a simple three-hand-watch sporting also a date window. No frills, no experiments, no complications. We all appreciate complex watches with beautiful complications, but purism has its own charm. 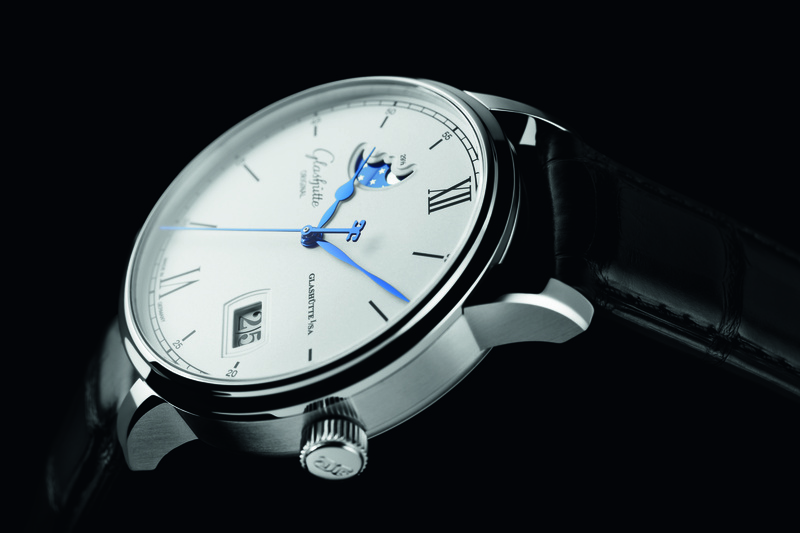 Mathis Montabon produces five different variations of the Elégance de Suisse – the complete silver coloured is the simplest. 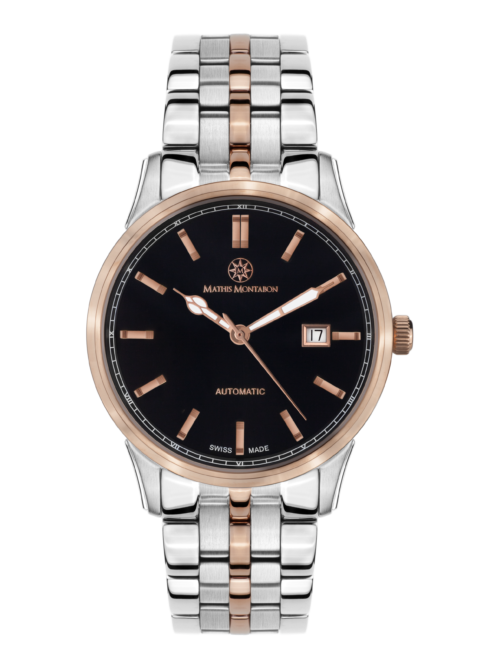 This model is also available with a black dial, whereas the black dial is also paired with two bi-coloured cases: stainless steel with gold and stainless steel with pink gold. The line also includes a complete golden version. Nothing at the dial distracts from the time display. Hours, minutes and seconds are all displayed via central hands. The sunburst dial makes for a beautiful dynamic and the date window at 3 o’clock is framed. All that caters to a really good legibility, and the hands are filled with lume for ensuring legibility is also excellent in the dark. The indices are argent or – depending on the version – golden, doubling at 12 o’clock. One of the most appealing details is the railroad minute track running around the outer rim of the dial, featuring Roman numerals. The dial is protected by a sapphire crystal. The Mathis Montabon Elégance de Suisse is powered by the Sellita SW 200-1, a Swiss automatic movement known for its reliable work. After being fully wound, it provides a power reserve of approximately 38 hours. The calibre is housed in a stainless steel case measuring 42 mm in diameter. In the also stainless steel bracelets brushed elements alternate with polished ones, making for an appealing look. The Elégance de Suisse is officially a men’s watch, but we can imagine, it might be also an attractive choice for many women. Especially with its moderate size. Since the first chronographs were introduced, they became hugely popular and with good reason. 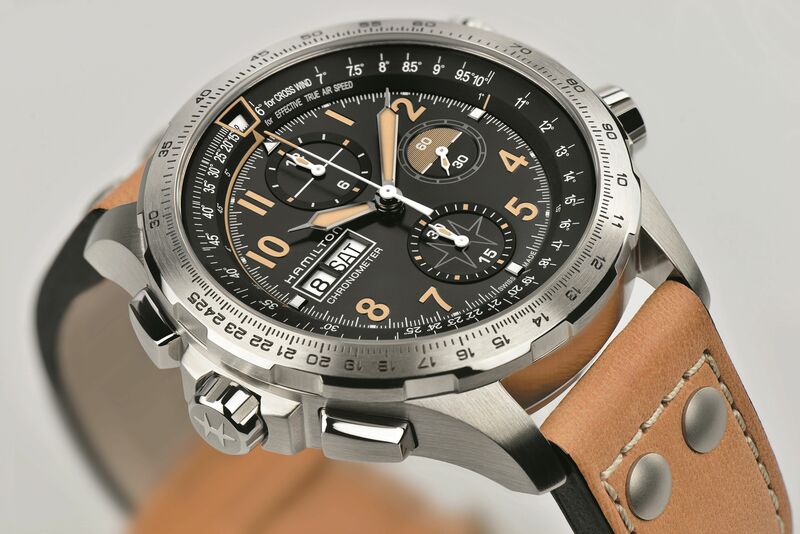 Some feature a tachymeter scale with which lap times can be calculated, some show chronograph hours and minutes, some only minutes. All of them feature subdials and a small second. Apart from these functions, chronographs are also popular because of there sporty looks – but many of them can also be worn to the office without difficulty – they are just gloriously versatile. We are introducing five of them today. Two chronographs of Chrono Diamond made the cut. The first one is the Argos, named after the hero of the same name and fellow of Jason from the argonaut myth of Apollonios of Rhodos. And the watch ought to accompany its owner just as reliably. Its design is reduced and simply elegant. It shows hours, minutes, the running seconds at 9 o’clock, the chronograph minutes at 3 and the chronograph hours at 6 o’clock. The Argos shows day and month in two windows at 12 o’clock; the date is shown by a fourth central hand with a small crescent moon tip. The Argos is powered by a quartz movement and you’ll have the choice between twelve different models: in stainless steel, with gold and pink gold PVD-coating and different coloured dials. All variations come with a leather bracelet. The Chrono Diamond Nestor stands out with a dial that accentuates the functions of the subdials extravagantly. 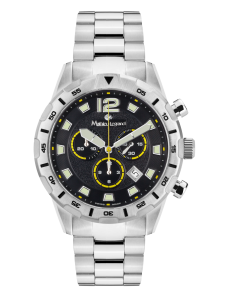 At 2.30 o’clock you’ll find the running seconds, at 6 o’clock the chronograph hours and at 10.30 the chronograph minutes. At 4 o’clock a small date window is placed. The dial is textured and of course, it bears the for Chrono Diamond characteristic diamonds. 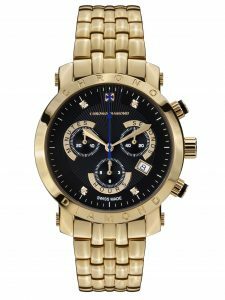 Chrono Diamond offers nine different versions of the Nestor; with dark and fair dials, in stainless steel and with gold PVD-coating, with a metal bracelet or leather strap. 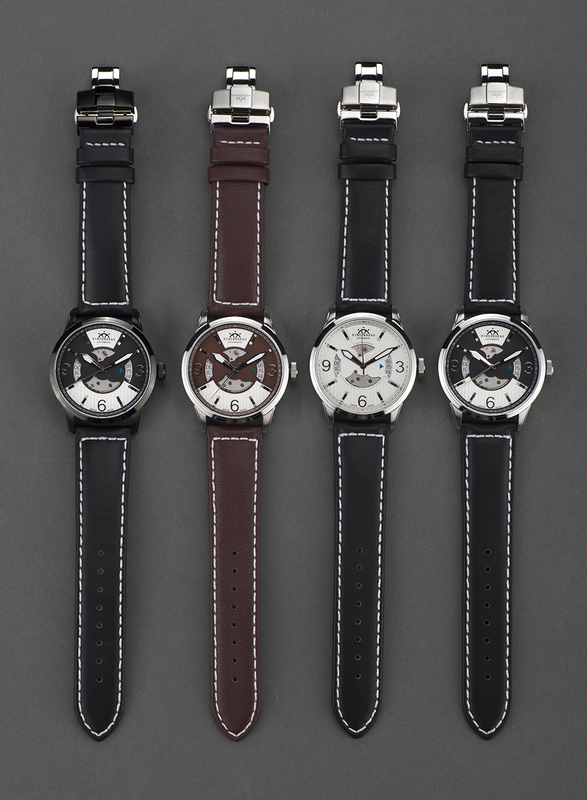 All of them are powered by a reliable quartz movement. 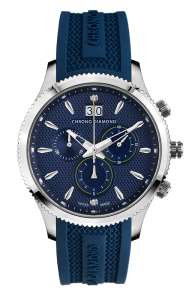 All-Chrono Diamond watches are Swiss Made. 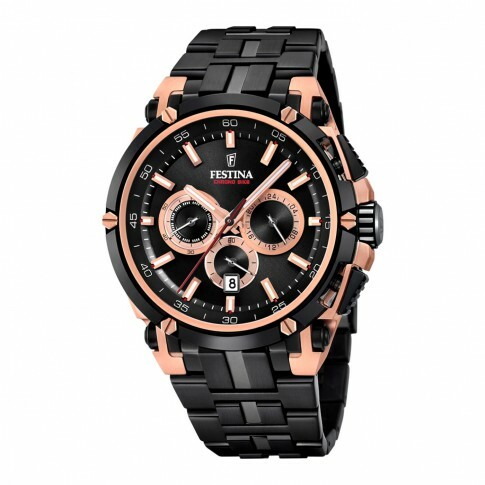 The Festina Chrono Bike-Line has a longstanding tradition and is a hommage to bicycle racing. So it is no surprise that the watch manufacturer could win Richard Virenque as ambassador. The french road racing cyclist was a climber, winning the King of the Mountains competition of the Tour de France a record of seven times. During his active time he was part of the Festina Team and the partnership between them remains to this day. The Chrono Bike chronographs come in a variety of designs. 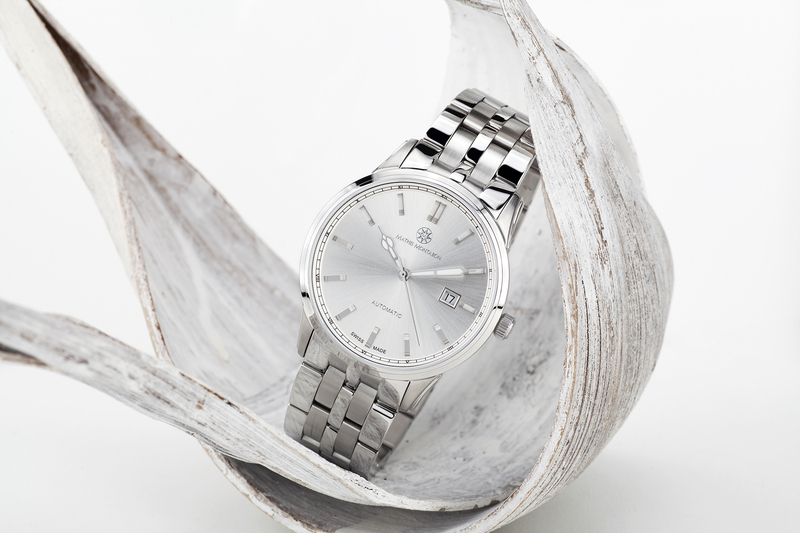 The latest model features a stainless steel 44-mm-case, the dial is protected by mineral glass. The subdials for the running seconds, chronograph minutes and chronograph hours contrast sharply with the rest of the dial. The Longines Conquest V.H.P. comes in many different colours and designs; some in stainless steel and some in black PVD-coating. 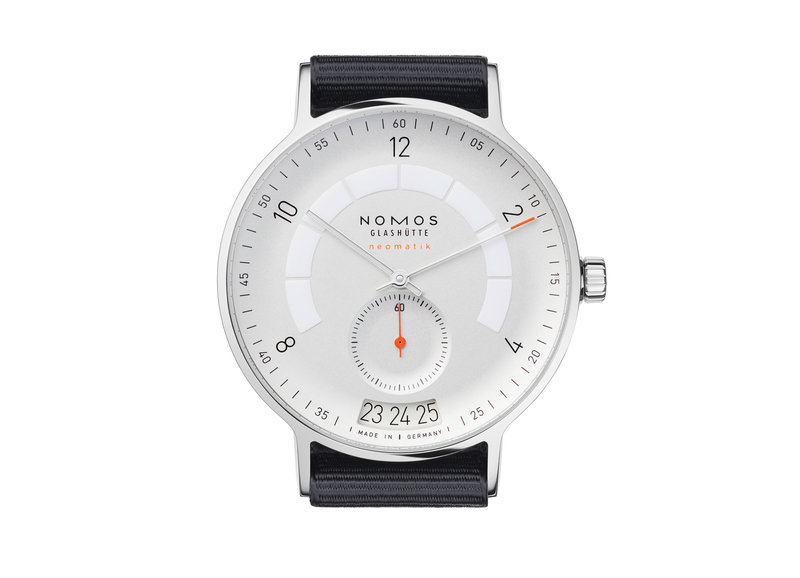 The sober case is complemented by an articulate dial. Except for the big Arabic 12, Longines opted for plain indices which are equipped with the same greenish lume as the minute and hour hands. Red accents highlight the chronograph functions – the central seconds hand, the hands of the chronograph minutes at 3 o’clock and the chronograph hours at 9 o’clock. The subdial at 6 o’clock shows the running seconds. The Conquest V.H.P. is powered by an reliable, high-quality ETA quartz movement. 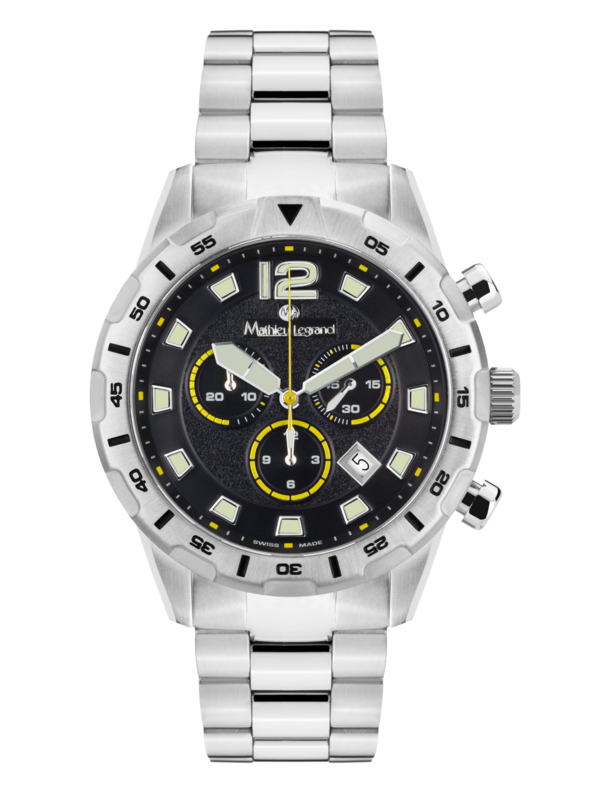 The last chronograph we’re introducing in this feature is the rugged Mathieu Legrand Avant-Garde. This model is for fans of larger, more masculine watches. The indices, the big Arabic 12, as well as the hour and minute hands are generously coated with lume, so perfect readability is given at all times, even in the dark. 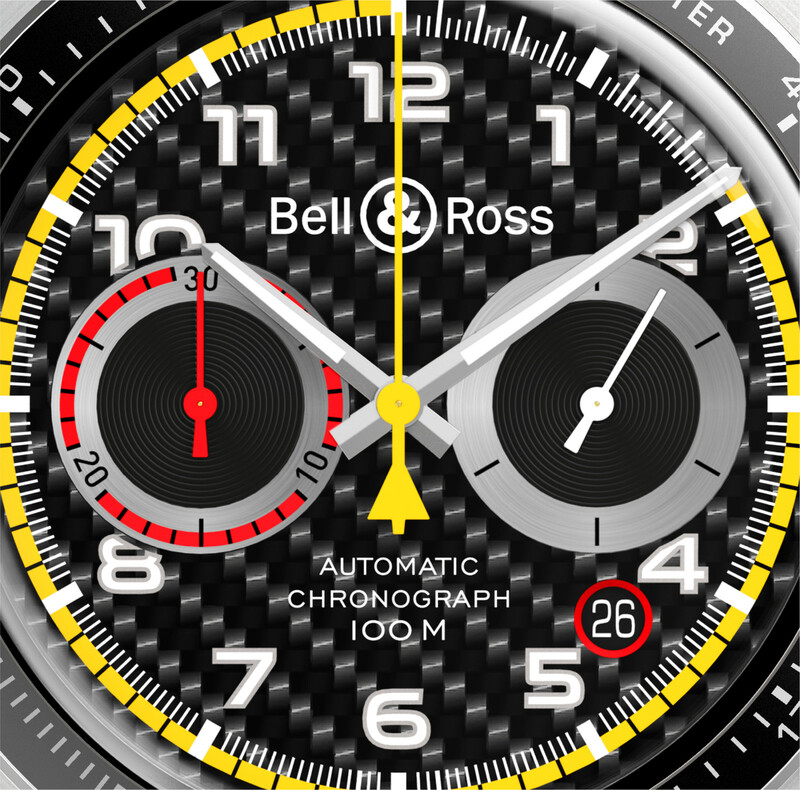 The chronograph seconds and the subdials are highlighted with colour. At 4.30 you’ll find a big date window. The Avant-Garde is powerd by a Swiss made quartz movement and comes in four different versions – three with a black, one with a fair dial; in stainless steel, with a PVD-coating in gold or in a bi-colour design. 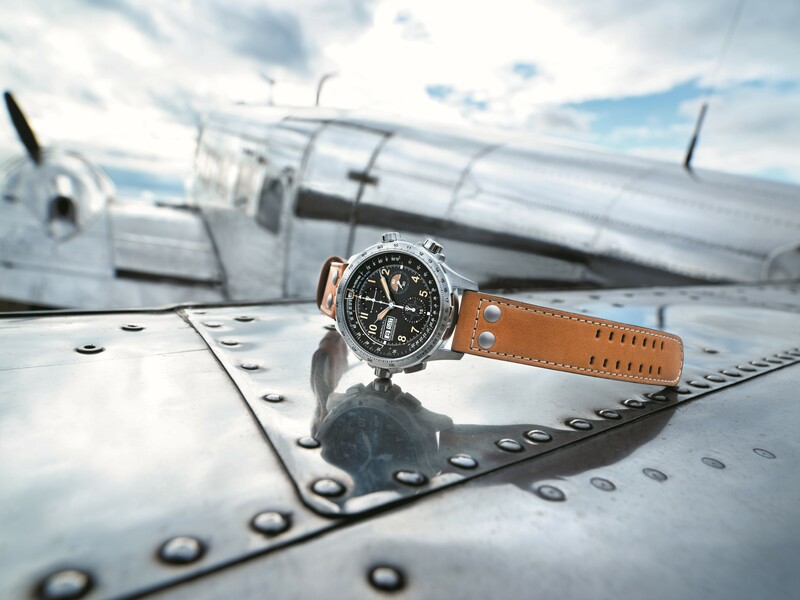 The Swiss watch manufacturer Hamilton is synonymous with aviation and is celebrating 100 years of timing the skies with a limited edition watch this year. These watches represent the very best of Hamilton. Based on the original Khaki X-Wind Auto Chrono, the 2018 Limited Edition is packed with aviation features for pilots and offers a technical perspective including the ground-breaking crosswind calculator of the original. Accuracy, innovation, a taste for adventure and a focus on precision have all contributed to making Hamilton the choice of professional aviators to accompany them in the cockpit. Thanks to newly shaped hands and Super-LumiNova numerals in sand colour that glows neon green in the dark, the watch has enhanced readability. The multilevel black dial allows the eye to navigate between the three counters, the day date window at 9 o’clock and the turning inner bezels. 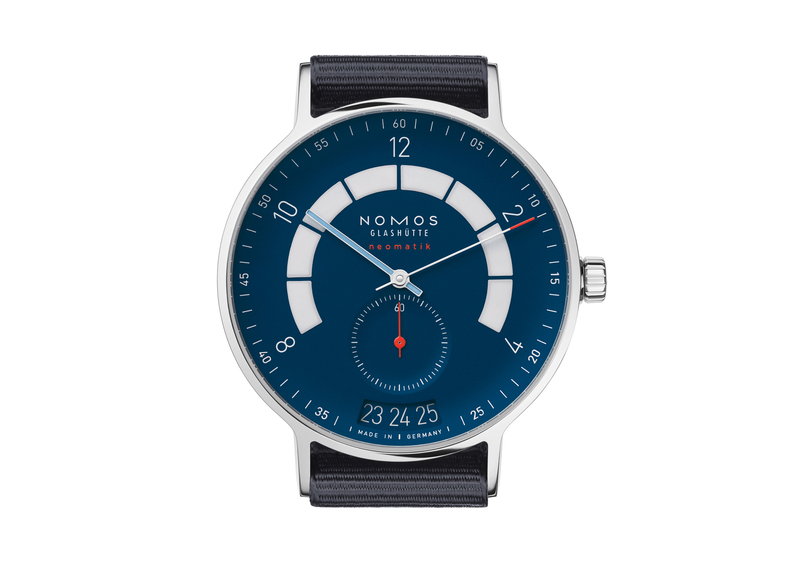 The dial is protected by a sapphire crystal with anti-reflective coating on both sides. The x-shape visible between the pushers and crowns surrounding the case completes the multi-dimensional theme. The Khaki X-Wind Auto Chrono Limited Edition features a 45 mm stainless steel case which is water resistant up to 10 atm. Inside works the H-21-Si, the first Hamilton chronograph movement with a silicon hairspring. This material makes the movement more precise as silicon is non-magnetic and less sensitive to shocks. The former is an important feature for pilots because they often stay in environments with high magnetic fields such as airports. In addition, the movement has been precision certified by COSC as a chronometer. 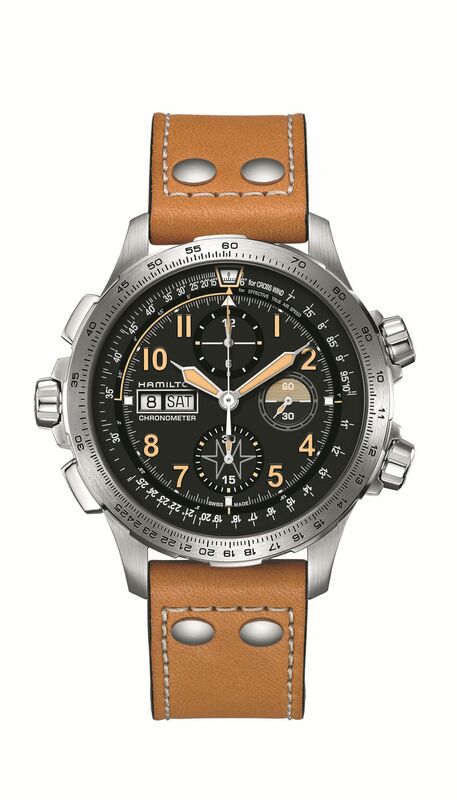 The Khaki X-Wind Auto Chrono Limited Edition is limited to 1,918 individually numbered pieces, and adorned with a H-buckle and a sturdy leather strap in typical Hamilton aviation style. There is also a metal bracelet for those who prefer a full steel look. 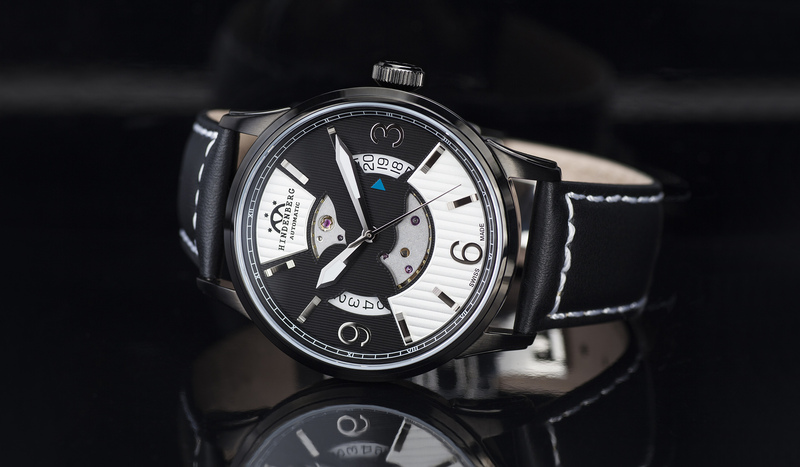 Ulysse Nardin has added a new version to its Classic Dual Time collection. As with many of its timepieces, this Classic Dual Time Enamel watch unites three fundamentals of Ulysse Nardin: technical avant-garde with the unse of Silicium in the movement, in-house manufacturing and excellent craftsmanship with its eggshell Grand Feu enamel dial. Grand Feu designates an enameling technique that goes back to the 17th century, and that is practiced today only by a handful of craftsmen, including those at Ulysse Nardin specialists Donzé Cadrans. its delicate beauty has an eternal quality. On the dial, oversized roman numerals and black hands set off the double date display at 2 o’clock, and the oversized small seconds at 6 o’clock. Equipped with the patented Dual Time zone feature, this timepiece is instantly adjustable both forwards and backwards with a mere push of a button. These buttons feature at the 8 and 10 o’clock positions. When pressed, the pushers adjust the hour hand to a different time zone while the home indicator at 9 o’clock continues its 24-hour cycle. An impressive mechanical complication that is very easy to use. The time and date setting is another example of the watchmaker’s perpetual quest for innovation in action. The selector is integrated in the crown allowing to change settings without pulling and pushing the crown. Inside the watch works a self-winding calibre, the UN-324. This in-house movement, entirely designed and produced by Ulysse Nardin, provides a 48-hour power reserve. It lies in a stainless steel case which sports a diameter of 42 mm and is water resistant to 30 metres. It is held on the wrist by a leather strap. An enviable fusion of form and function, and a tribute to exquisite craftsmanship, the Classic Dual Time Enamel is a limited edition of 99 timepieces available exclusively at Ulysse Nardin boutiques. Mathieu Legrand is adding some serious bling-bling to its current collection with the new Mille Étoiles. The watch manufacturer is introducing this new watch in two different versions – in gold and rosé gold – both equally cool. We’ve heard there might be a third one in the making but we couldn’t get our hands on it – or confirmation by the manufacturer for that matter- just yet. 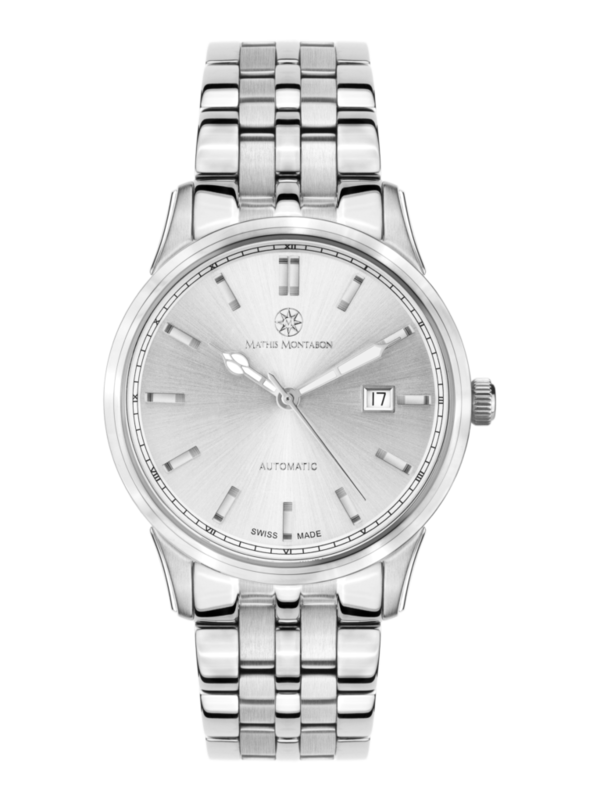 This women’s watch is a real head-turner due to the numerous zirconia on its dial and with one of these two you are definitely going to draw attention to your wrist – and yourself. The Mille Étoiles is not for the watch lover who likes an understated look because with one of these watches a place in the spotlight is guaranteed. The Mathieu Legrand Mille Étoiles features a fully paved dial, a small date window at 3 o’clock and a big small seconds including a black railway minuterie at 6 o’clock. The manufacturer has decided against traditional numerals or indexes and opted for coloured zirconia. These are of a deep blue in the rose gold version and of a bright green in the gold version. 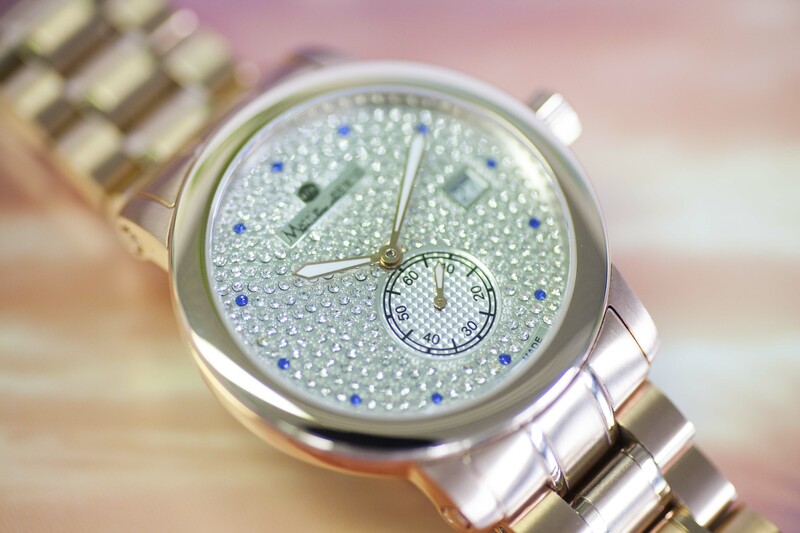 The dial is protected by a scratch resistant sapphire crystal. The bezel, the sides of the case as well as parts of the bracelet and the clasp are polished. This parts contrast nicely with the brushed parts, generating an overall charming look. The case measures 40 mm in diameter and is water resistant up to 10 atm. The Mathieu Legrand Mille Étoiles is powered by a Swiss made quartz movement, providing great reliability combined with highest precision. It lies within a stainless steel case with PVD coating in gold or rosé gold. Overall, this beautifully balanced watch will make for a stunning, reliable companion. It can easily be worn every day as well as on special occasions, and with its moderate size it should fit on most wrists. 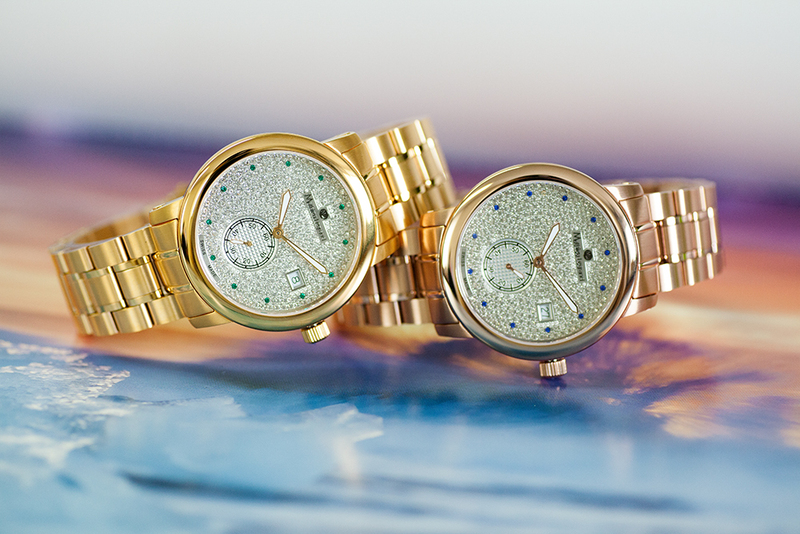 We already love the Mille Étoiles and are sure, you will too. 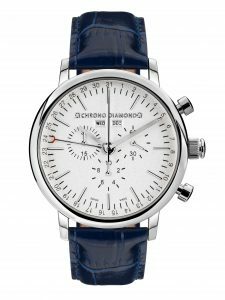 Swiss watchmaker Chrono Diamond is now around for seven years and is committed to produce nicely made, reliable watches, aiming higher with each new model they create. And the Okeanos is no exception. The brand added this watch recently to its current collection, combining a toothed bezel, three subdials and a rubber strap. This handsome, classic chronograph can be worn on a daily basis. We are sure that the Okeanos will evolve into one of the favourite models in Chrono Diamond’s collection with its rugged, beautifully balanced looks. It combines a nice case with an attractive dial, featuring an interesting woven pattern. The dial is dominated by the highly polished indexes and hands. The hour and minute hands are slightly skeletonized and equipped with a tip made of lume, providing best legibility even at night. The subdial at 3 o’clock is for the running seconds, the chronograph hours are displayed at 6 o’clock, the chronograph minutes at 9 o’clock. At 12 o’clock dominates a big date. We would have loved to see the date wheel matching the colour of the dial, making the date a little less intrusive, but okay. 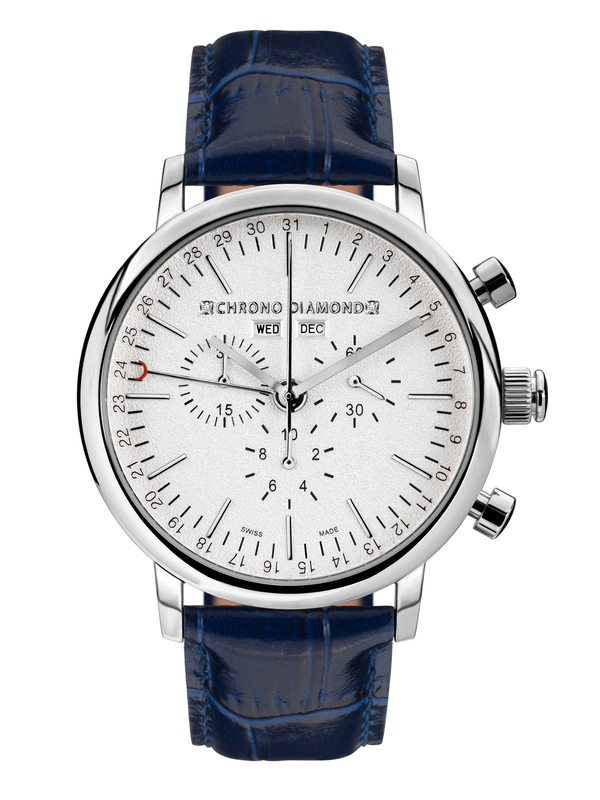 The characteristic Chrono Diamond diamonds are replacing the indexes at 12 and 6 o’clock. The case measures 41 millimetres in diameter and 11 millimetres in height which makes this watch not at all overly dominant. The classic design of the chronograph surely fits most wrists and we can imagine that the Okeanos will be attractive for women too, although it is promoted as a men’s watch. The case combines a toothed, polished bezel with brushed sides and lugs, adding to an overall attractive look. The Chrono Diamond Okeanos is powered by a Swiss made quartz movement which assures highest reliability and precision. 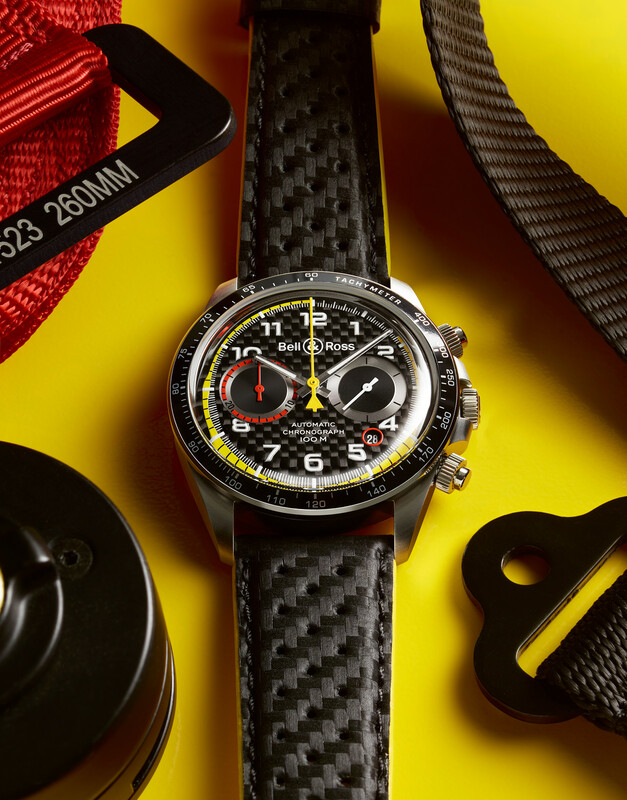 It offers everything you’d need out of a three-register chronograph. Highly functional and handsome, this watch will be a trustworthy partner in every situation. 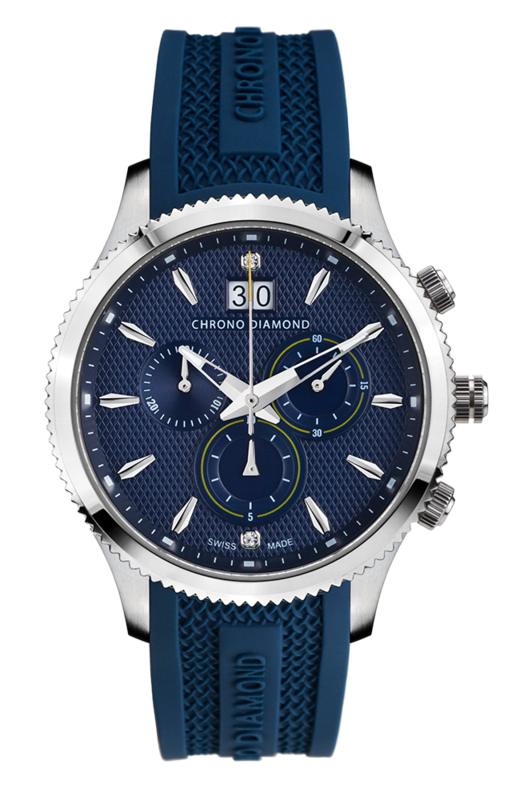 Chrono Diamond offers four different coloured versions. 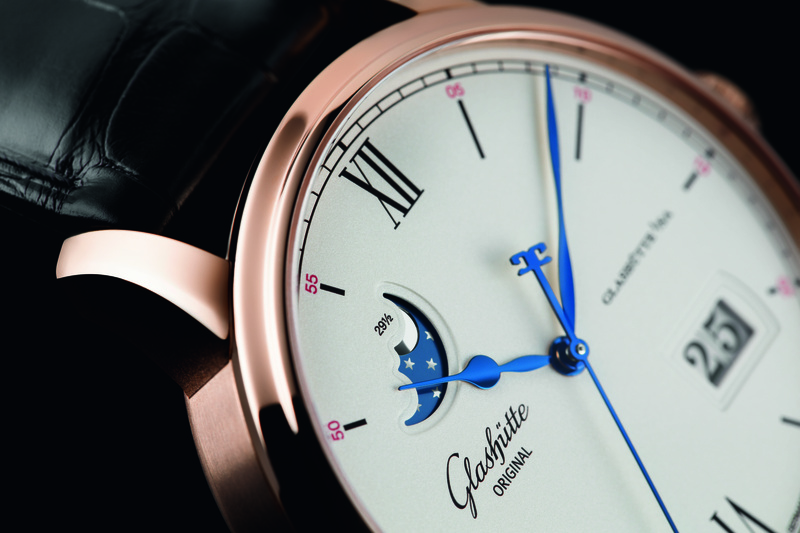 Recently, Glashütte Original launched two new models expanding its new Senator Excellence line: the Senator Excellence Panorama Date and the Senator Excellence Panorama Date Moon Phase. With the introduction of the new manufactory Calibre 36 Glashütte Original laid the cornerstone for a new generation of in-house timepieces. And the two new models are fitting in the collection quite nicely. The Senator Excellence Panorama places the watchmaker’s well-known date display at centre stage. The secret of its exceptional legibility lies in the mounting of two concentric display discs on the same level, which makes it possible to present the two numerals comprising the date without the central separation bar. A precise jumping mechanism now enables even greater precision when the date changes at midnight. Refined details transform this useful function into a decorative stylistic element. A rounded window integrates the display into the dial in an elegant manner, and two steps enhance the impression of visual depth. The printed numerals are set off in deep black from the ivory-coloured ground. The Senator Excellence Panorama Date Moon Phase combines the date display with a further characteristic element from Glashütte Original – the moon phase complication. In a dial window between 10 and 11 o’clock a curved moon travels its path in front of a starry, galvanic blues sky. 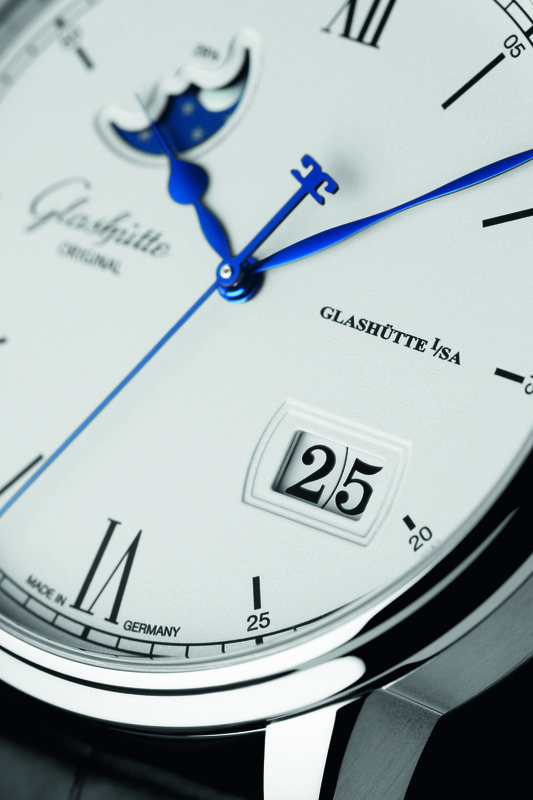 The display is executed in Glashütte’s own dial manufactory. The calibre works at 4 Hz and comes with a power reserve of more than 100 hours. 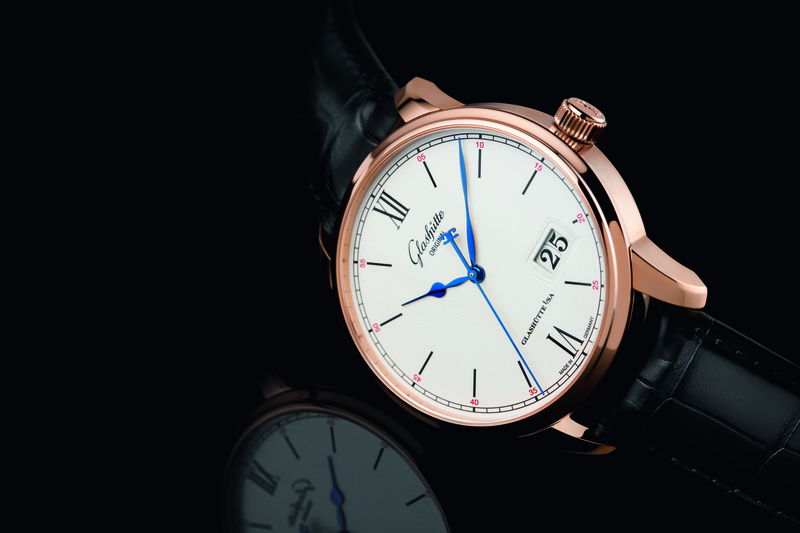 Both models are presented in a 40 mm diameter case that is fashioned in red gold or stainless steel. Both cases feature polished and satin-brushed surfaces, the bezels are slim and house a domed sapphire crystal. 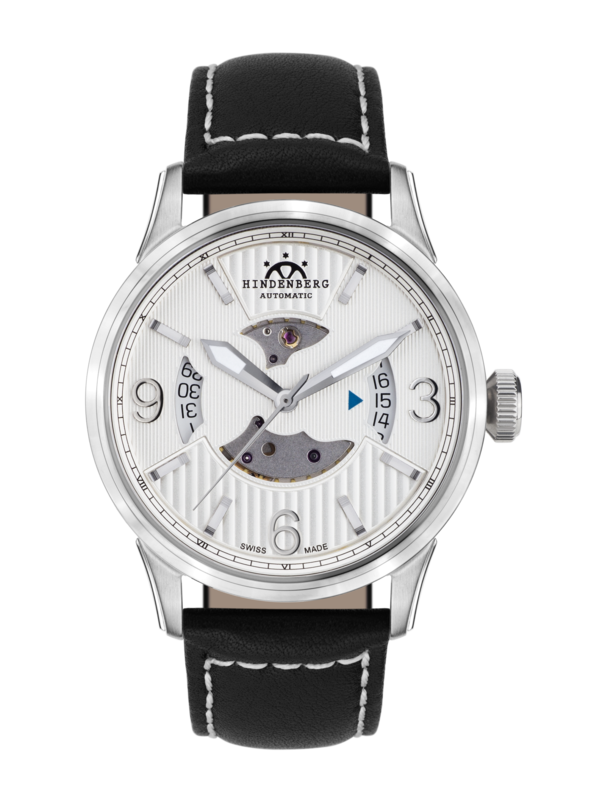 The silver-grained dials feature laser-cut, galvanic black hour indexes and matching railroad chapter rings. On the stainless steel model the minute numerals are also laser-cut and galvanized in black, while the red gold version features minute numerals printed in red. All watches are come with a black alligator leather strap. From the beginning, Hindenberg has made it very clear, where its passion lies: in everything associating with aviation and in the look of iconic pilot’s watches throughout the centuries. Now the watch manufacturer has launched a new model and it’s completely Swiss made. The Hindenberg Air Lancer is for everyone who appreciates the combination of a classic look with good quality and aviation in general. This watch is not bulky but prominent on the wrist with a diameter of 42 mm and a height of 11 mm. The case is round and made from stainless steel with nicely shaped lugs and is water-resistant up to 10 atm. The look of the dial is dominated by two different sets of cutouts. The two in the middle allow a glimpse of the movement which lies behind. The two cut-outs at 3 and 9 o’clock provide the date function, supported by a blue indicator. The Air Lancer features indexes as well as big Arabic numerals at 3, 6 and 9 o’clock. The legibility of this watch is pretty good, thanks to the big hands. They are filled with lume to provide a great legibility even under critical lighting conditions. Inside this watch works an automatic calibre. The Sellita SW200-1 is a Swiss made movement which is known to be a reliable, precise and highly dependable workhorse. It features hours, minutes, seconds and a date display. Furthermore, it comes with a power reserve of 38 hours. 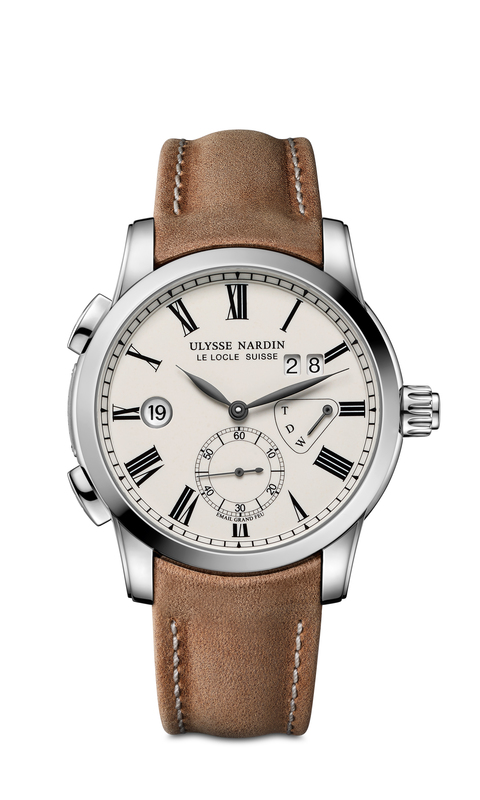 The handsome look of this wristwatch is completed by a leather strap which comes with contrasting stitches in white. Hindenberg has currently four different versions of the Air Lancer available; three feature a stainless steel case, one comes with a black PVD coating. The latter also features a partly black dial and a black strap. 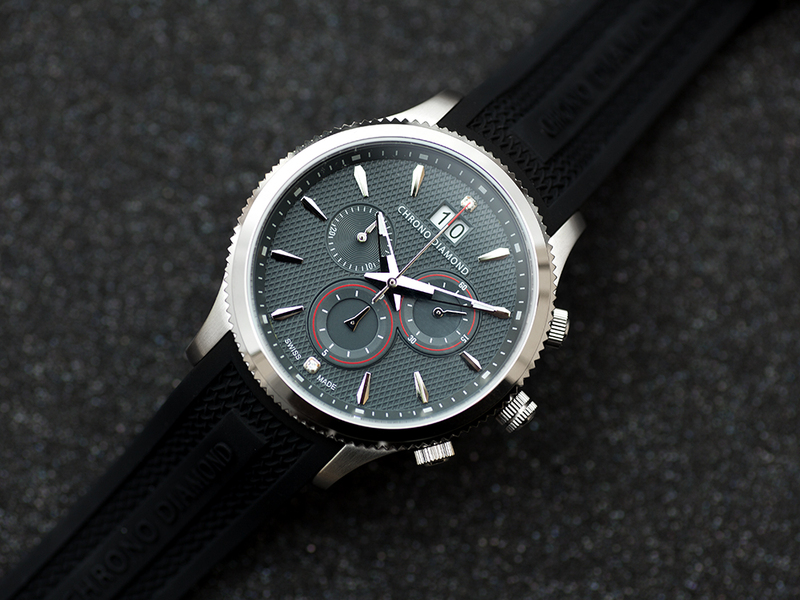 The partly black dial is also available in combination with a stainless steel case. A white/silver dial and a partly brown one complete the collection. The Air Lancer with the brown dial features a strap of the same colour.